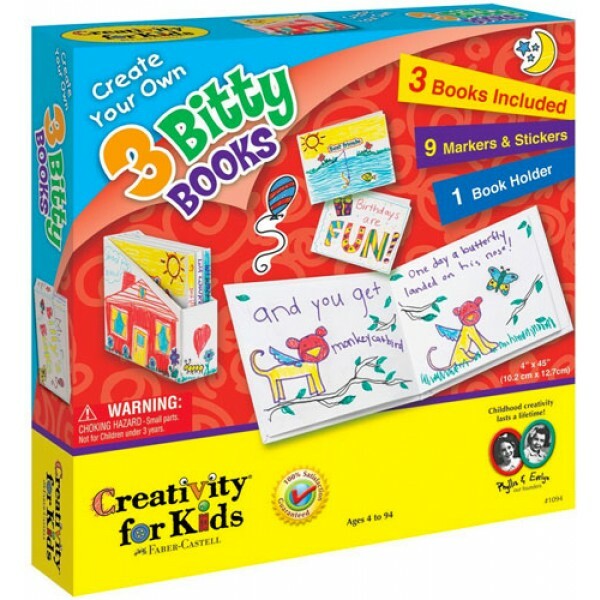 Kids are born storytellers, and now they can show off their stories with this bitty book kit from Faber-Castell's Creativity for Kids line. 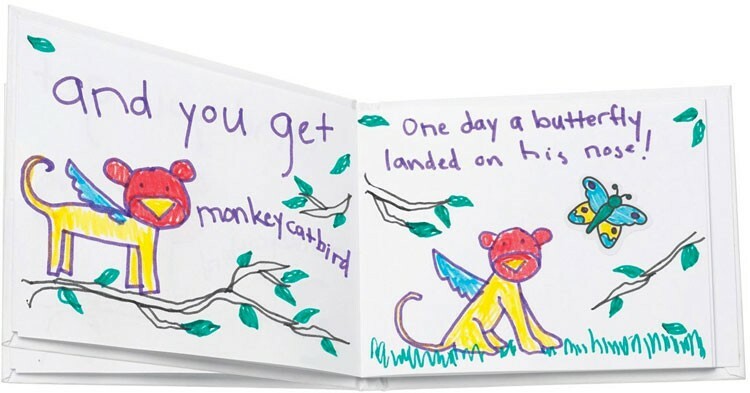 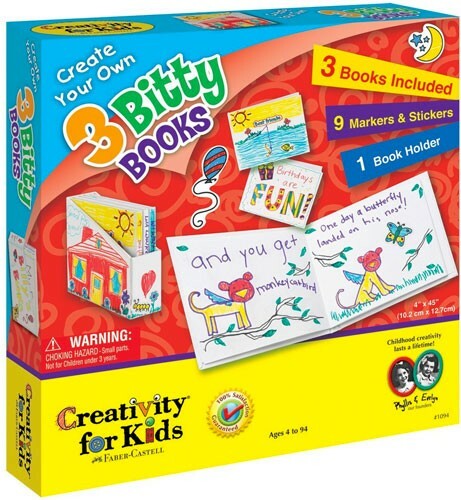 Three blank 12-page, hardcover Bitty Books are ready for your child's special touches, which they can add with the included mini markers, bookplates, and color-in stickers. 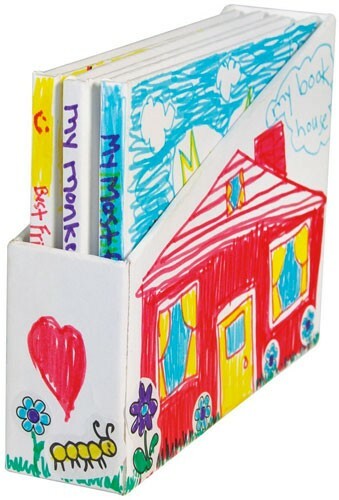 Then, tuck them into a customized book holder for your very own collected works!